Nearly entitled 20 acres of property in the County of Riverside for the purpose of building a multi-family apartment complex with a commercial component. The apartment project will eventually feature 217 village style, courtyard loaded apartments with tuck under parking and a full amenity package. 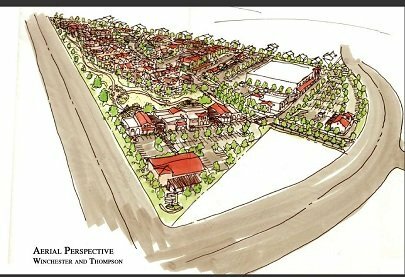 The commercial center will be located along the front of Thompson and Winchester Roads. The center will eventually feature a gym along with inline retail space. Also, the site will be developed with 4 stand alone retail pads.